Three days before the celebration of the Dormition of the Most-Holy Mother of God, also known as the Summer Pascha or Pascha of the Mother of God, by Jerusalem tradition, the shroud of the Mother of God is transferred from Little Gethsemane, across from the Church of the Resurrection, to Gethsemane itself, to the Tomb of the Most-Holy Mother of God. This ceremony is related to the appearance of Archangel Gabriel to the Most-Pure Virgin in Little Galilee, where she loved to pray in solitude, when he gave her a palm frond and foretold Her dormition three days later. 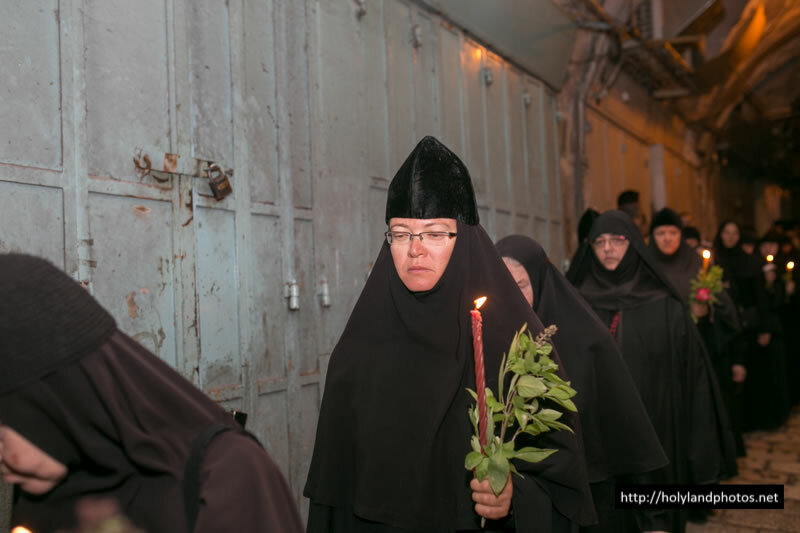 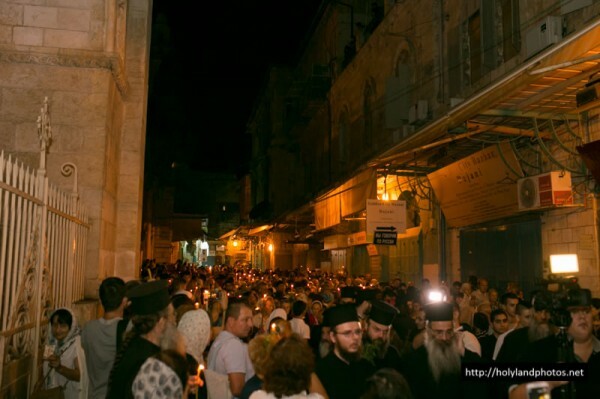 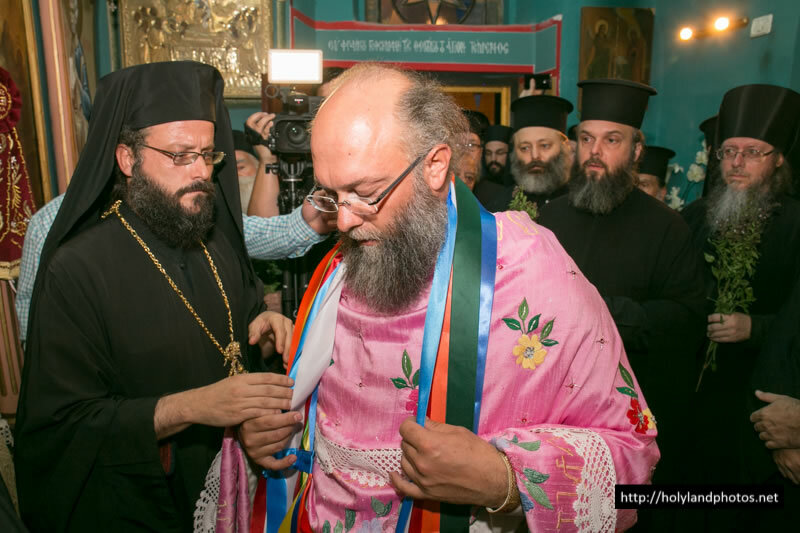 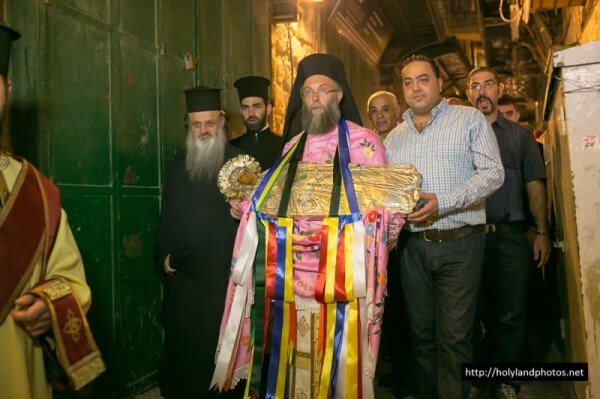 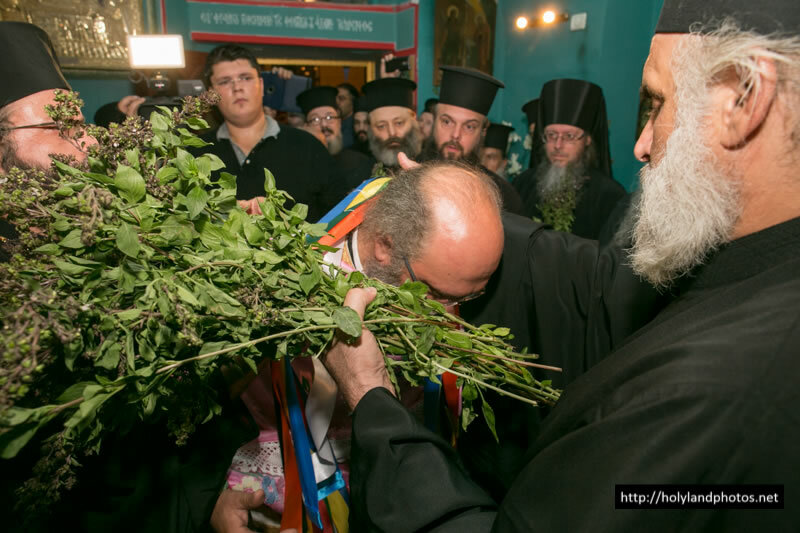 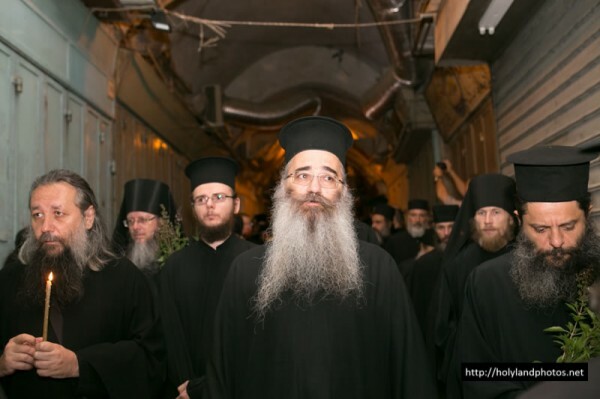 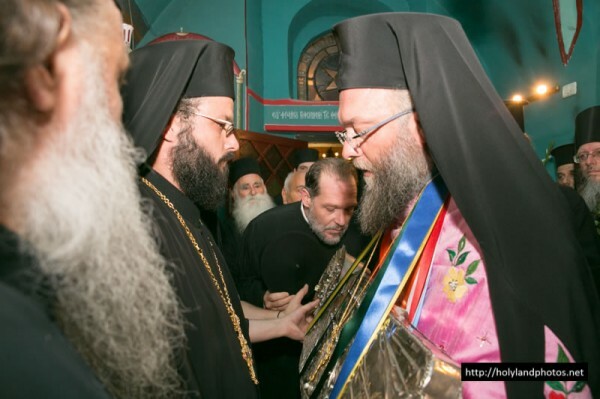 Early in the morning, after midnight Divine Liturgy at the Holy Sepulcher of the Lord, Hegumen Nectarios of the Gethsemane podvorie at the Church of the Resurrection brought out the shroud of the Most-Holy Mother of God. 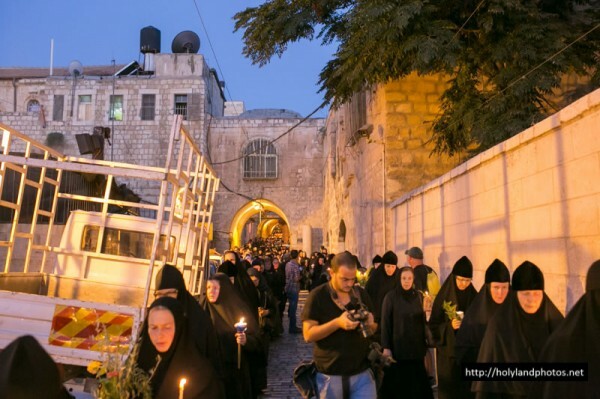 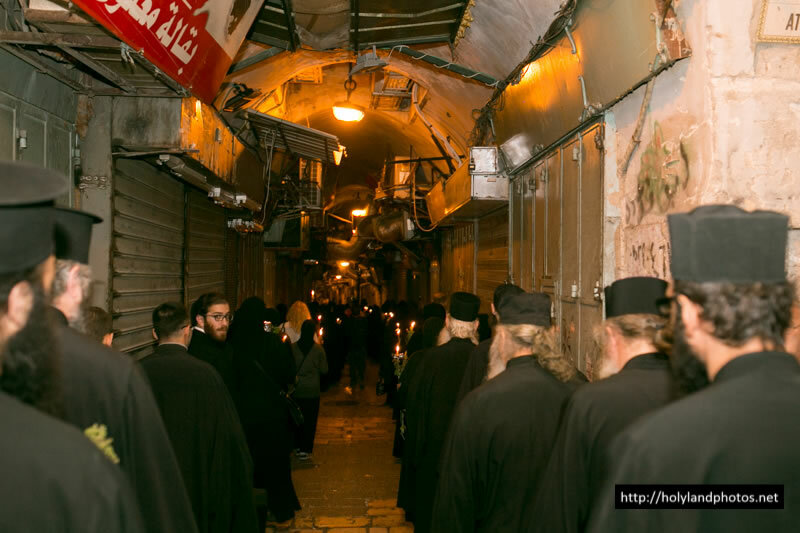 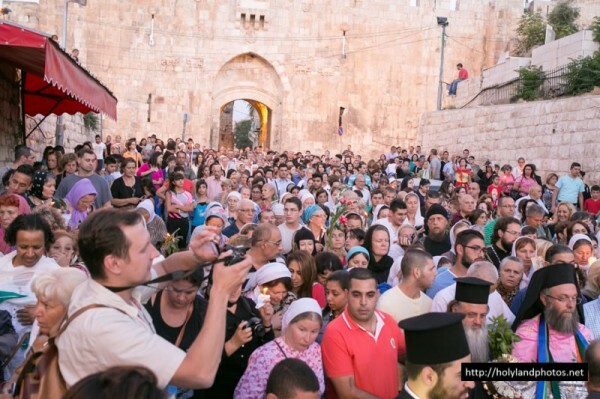 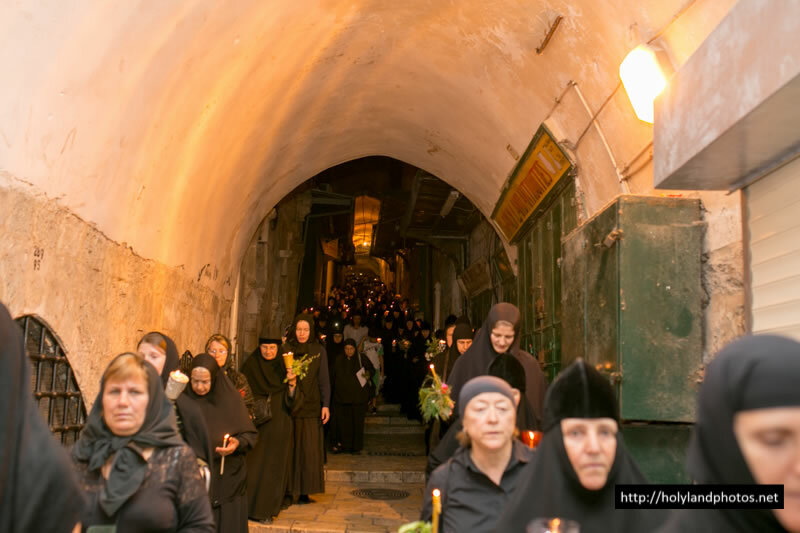 As prayers are sung, the shroud is taken through the narrow streets of the Old City to the site of the burial of the Most-Pure body of the Mother of God in the Church of the Dormition, where Divine Liturgy was then celebrated. 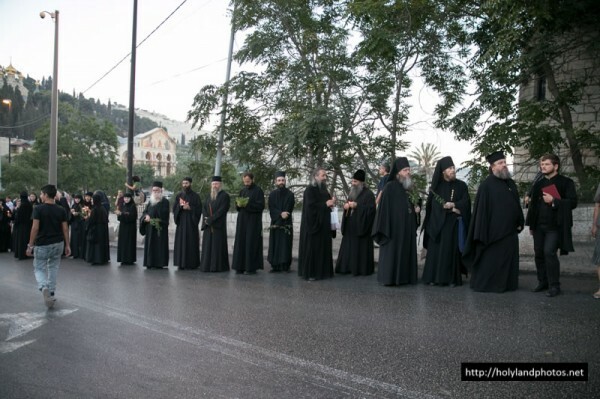 Bishops, priests and monastics led the procession, with pilgrims from all over the world following. 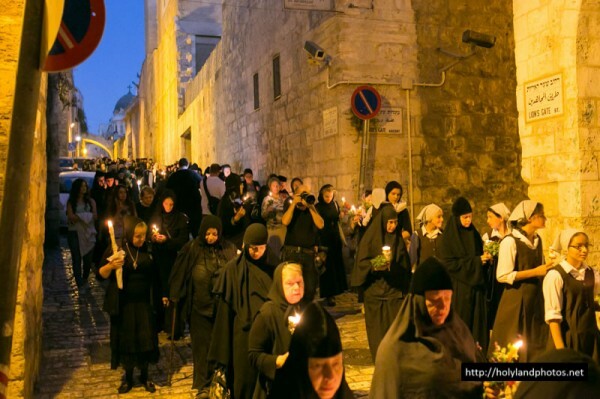 Many carried images of the Mother of God, lit candles, flowers and branches of basil, all symbols of eternal life. Liturgy was celebrated on one of the three peaks of the Mt of Olives, in Little Galilee, the very place where the Mother of God loved to pray. 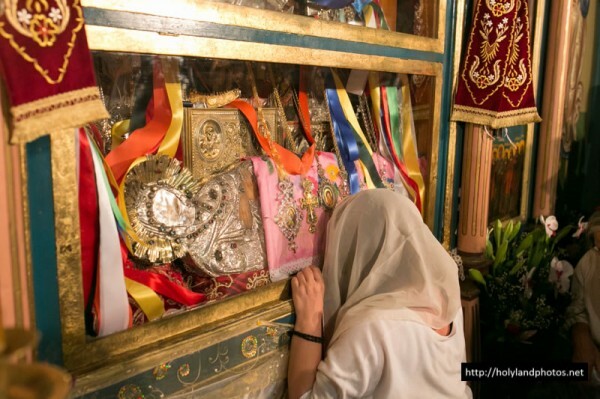 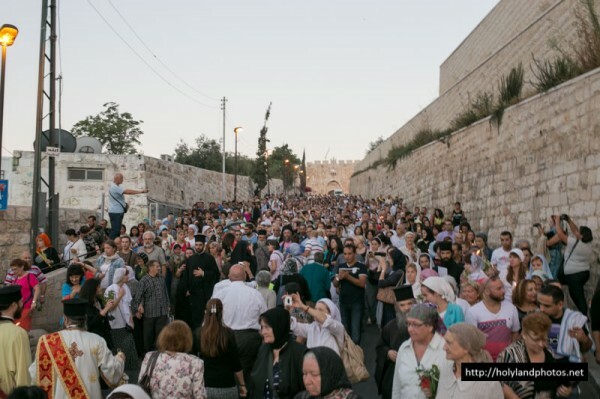 This historic site is on the property of the residence of the Patriarch of Jerusalem, right under the altar table of the church, and everyone is allowed to venerate it at the end of the service. 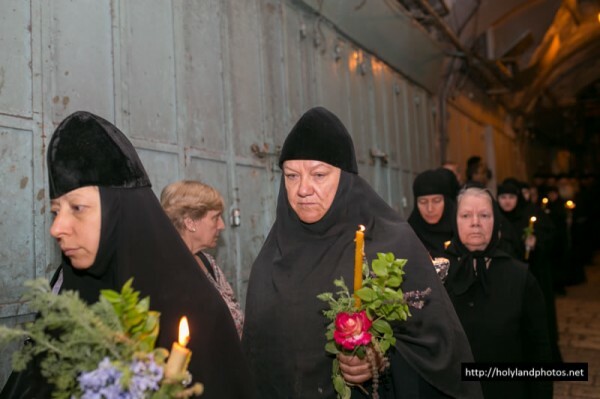 The Dormition of the Mother of God is one of the most beloved feast days for Orthodox Christians, a special time when believers appeal to the mercy of the Heavenly Intercessor with their most inner prayers.